See the details over at my Studio Manager blog: FileMaker Pro 15 Update Out – Cleared for macOS Sierra. For myself, I’m waiting a while. Since I often help clients move from older versions of FileMaker Pro to newer versions, I like being compatible with as many versions of FileMaker as possible and that is dictated by which OS your are running. It also never hurts to be conservative about new software where a mission critical database is concerned. See my blog post above for more details on these considerations. 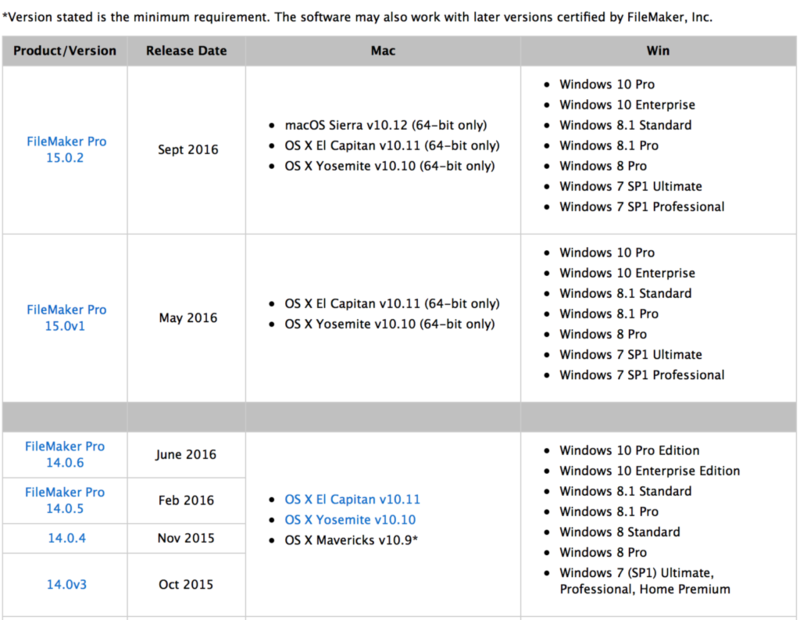 This entry was posted in FileMaker 15, FileMaker Decisions, macOS Sierra on October 5, 2016 by janet.